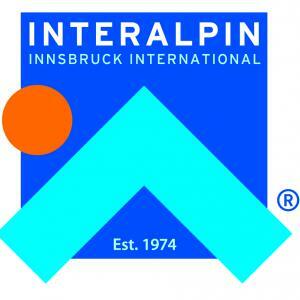 Новости индустрии → admin → Ski Build Expo (Russia) and Interalpin (Austria) to continue cooperation! We are writing to inform you that the Interalpin Russia project – October 24 – 26,2014, Gostiny Dvor Exhibition Hall in co-operation with Ski Build Expo 2014 and Ertzog-Expo LTD will go ahead. As the co-operation with ERTZOG LTD last year again met our expectations, we have decided to exhibit now for the 5th time in Moscow with a joint stand. We would like to invite your company to be part of a joint stand. The advantage for you – the organisation of this joint stand comes under the Interalpin umbrella. We will act as an additional contact for you in case of any questions and we will organise and manage the joint stand on site. Please note: we will only organise this joint stand, if at least 3 companies take part. We would be very pleased if your company were one of these. The amount of space in the trade area is limited. Please let us know as soon as possible, if you would like to take part. If you are interested, please forward the completed registration form by fax to +43 (0) 512 5383-2159. Do not hesitate to call us if you have any queries. Attention – please mind the sqm price reductions referring to the date of registration ! We would like to point out that we only act as intermediaries and liability for the services provided on site rests with the organiser Ertzog LTD – similarly invoices are issued solely by Ertzog LTD.